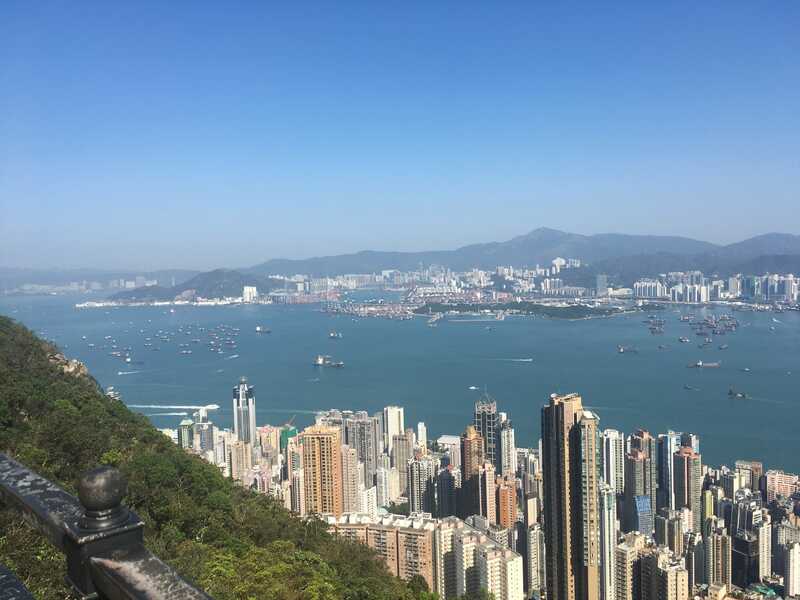 I spent roughly a week in 香港 (Hong Kong) for work. My expectations about that city were mostly framed by stories of friends who visited that city in the past and some comic books I read a long time ago (notably Yoko Tsuno). As this place was part still part of the British Empire when I went to school, I also expected a leftover English Influence. The city I visited did not really match any of that vision. What struck me while I was waiting for my luggage at the airport was the smell – very similar to that of Japanese buildings. I suppose they use similar cleaning products. The architecture, the doors, handrails reminded me of the way things are built in Japan. The following days revealed a city that is taller and more chaotic than the typical Japanese town. While Tōkyō has its share of sky scraper, the typical building has maybe 7 floors and is often build on a pretty small lot. You can find two-story buildings and residential houses scattered around. Hong Kong felt much higher: most buildings are large square blocks with many more stories. Façades are also rough: no decoration. The ground floor was often the only one that was somehow decorated, and typically host many small shops, including the same chains of convenience stores found in Japan. Depending on the part of town, there are some overpasses, but I never had the feeling I had in some parts of Tōkyō like Shinbashi, where there are so many levels of city built upon each other that you don’t really know where the ground level is. I was expecting was a large harbour. There is a nice maritime museum close to the central pier that explains that this aspect of the city has disappeared. There is a large container terminal in the outskirts of the city, and I saw many small boats with cranes that are used to move containers from big ship unto small ones, but the historical harbour is long gone. One thing that struck me during the week-end was the large amount of people, mostly women, who build large picnic areas out of cardboard in public space: they eat, listen tu music, dance, play games. I was told these are helpers from abroad who spent their free time. It reminded me a bit of Japanese 花見(Hanami), the party to watch cherry blossom, except it was all over town, in areas with no greenery. Of course a few jet lagged days are not enough to really discover a city, but it was a very interesting visit. 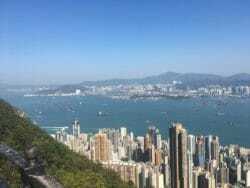 This entry was posted in English, General, Geography and tagged Britishness, Hong Kong, 香港.